Hsissh is a member of The One. There are some newcomers to The One's homeplanet. They call themselves "humans," and they are, frankly, mentally deficient--they can't warp the quantum world with their minds. However, Hsissh is becoming attached to one of them, a Miss Noa Sato. When The One decide they will wipe out the humans and Noa's life is on the line, Hsissh is forced to take sides ... he might find intelligent life where The One least expect it. A very good read. Clear and concise writing. Thoughtful and we'll written. It does make you think and also holds your interest from beginning to end. Left wanting more of the characters. I like this novella. 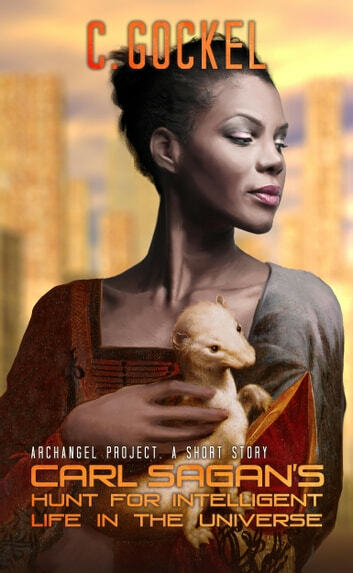 I hope the author expands on this story a little more in the Archangel Down series. I like it and would like to see a follow up telling of Hsissh as Carl Sagan. A novella before and during Archangel Down. Amusing to envision life/lives from pet Carl Sagan's point of view.